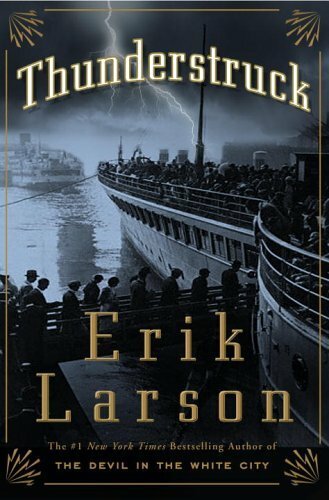 Fans of historical fiction who like their books predominantly fact-based, with the author filling in the gaps here and there with informed bits of character dialog and action but hewing very closely to documented history, will love the books of Eric Larson. These books are every bit as suspenseful and riveting as any thriller novel, but they’re all rooted in true stories of ego and the forces of nature and burgeoning technologies, all told through the very personal and fascinating stories of the men and women who lived them. 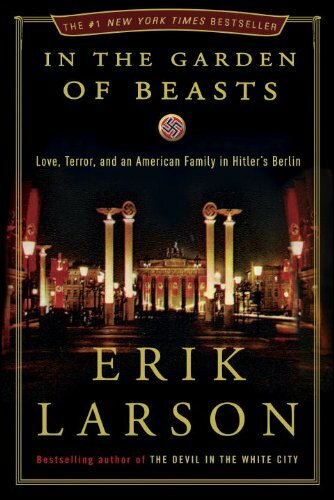 Suffused with the tense atmosphere of the period, and with unforgettable portraits of the bizarre Göring and the expectedly charming–yet wholly sinister–Goebbels, In the Garden of Beasts lends a stunning, eyewitness perspective on events as they unfold in real time, revealing an era of surprising nuance and complexity. 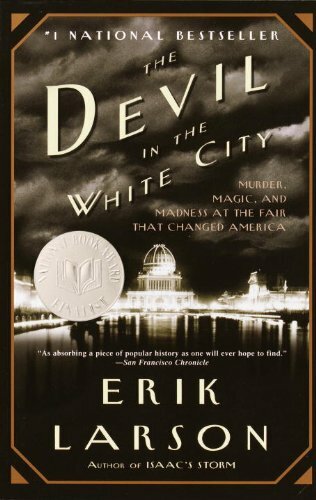 The result is a dazzling, addictively readable work that speaks volumes about why the world did not recognize the grave threat posed by Hitler until Berlin, and Europe, were awash in blood and terror. At the dawn of the twentieth century, a great confidence suffused America. Isaac Cline was one of the era’s new men, a scientist who believed he knew all there was to know about the motion of clouds and the behavior of storms. The idea that a hurricane could damage the city of Galveston, Texas, where he was based, was to him preposterous, “an absurd delusion.” It was 1900, a year when America felt bigger and stronger than ever before. Nothing in nature could hobble the gleaming city of Galveston, then a magical place that seemed destined to become the New York of the Gulf. In Cuba, America’s overconfidence was made all too obvious by the Weather Bureau’s obsession with controlling hurricane forecasts, even though Cuba’s indigenous weathermen had pioneered hurricane science. As the bureau’s forecasters assured the nation that all was calm in the Caribbean, Cuba’s own weathermen fretted about ominous signs in the sky. A curious stillness gripped Antigua. Only a few unlucky sea captains discovered that the storm had achieved an intensity no man alive had ever experienced. In Galveston, reassured by Cline’s belief that no hurricane could seriously damage the city, there was celebration. Children played in the rising water. Hundreds of people gathered at the beach to marvel at the fantastically tall waves and gorgeous pink sky, until the surf began ripping the city’s beloved beachfront apart. Within the next few hours Galveston would endure a hurricane that to this day remains the nation’s deadliest natural disaster. In Galveston alone at least 6,000 people, possibly as many as 10,000, would lose their lives, a number far greater than the combined death toll of the Johnstown Flood and 1906 San Francisco Earthquake. 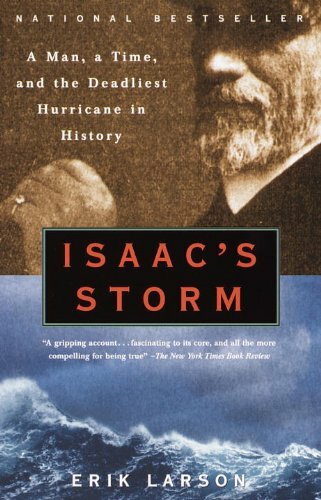 Meticulously researched and vividly written, Isaac’s Storm is based on Cline’s own letters, telegrams, and reports, the testimony of scores of survivors, and our latest understanding of the hows and whys of great storms. Ultimately, however, it is the story of what can happen when human arrogance meets nature’s last great uncontrollable force. As such, Isaac’s Storm carries a warning for our time. 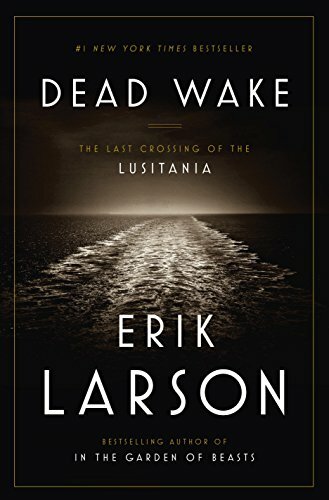 The post Author Spotlight: The Fascinating, Fact-Based Books of Eric Larson appeared first on Kindle Fire on Kindle Nation Daily.